Ebony is a type of hardwood that is known for its deep and dark brown color. A luxurious type of wood that is perfect for making tunnels and plugs. A big advantage of wooden piercings is that they do not conduct heat. They do not get hot or cold. Both in winter and summer very comfortabel. Wood is also very light in weight making it extra comfortable. 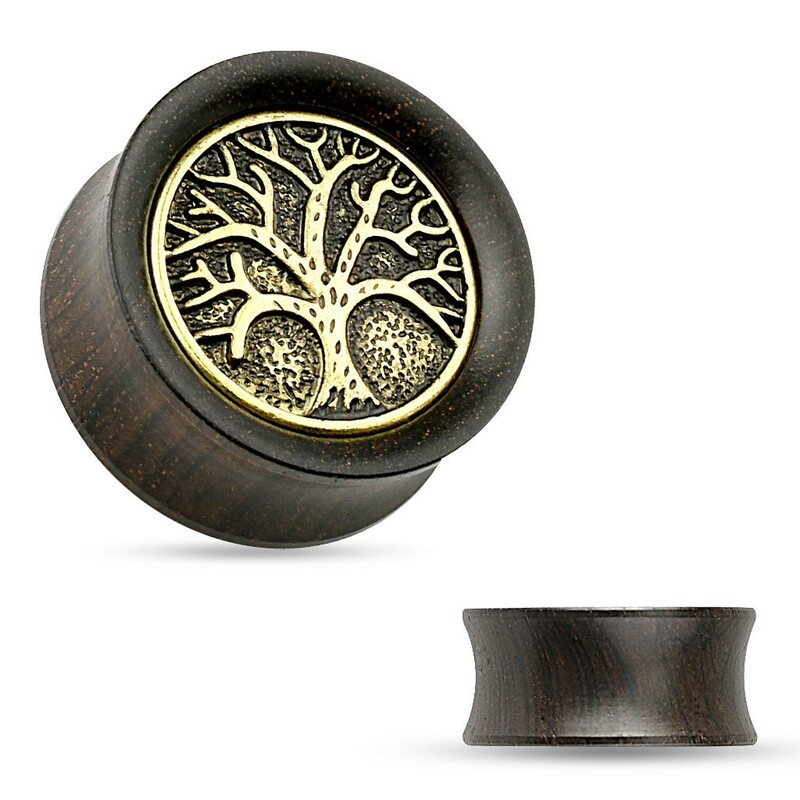 This ebony wooden plug carries a gold plated plate on the front displaying the Tree of Life. This tree symbolizes life, death and everything inbetween. An old symbol with a rich history. This plug is doule flared and will require some fliexbility from the ear when placing. That's why you should only use this plug for ears that are fully healed since their last stretch. Wood is a very comfortable material for tunnels and plugs. However, you should be careful around moisture. Make sure this plug stays dry. If it gets wet and dries out you have a risk of getting cracks.